The Parkes flag will be flying high at the prestigious Moomba Birdman Rally in Melbourne this weekend with 14 local students entering two planes. 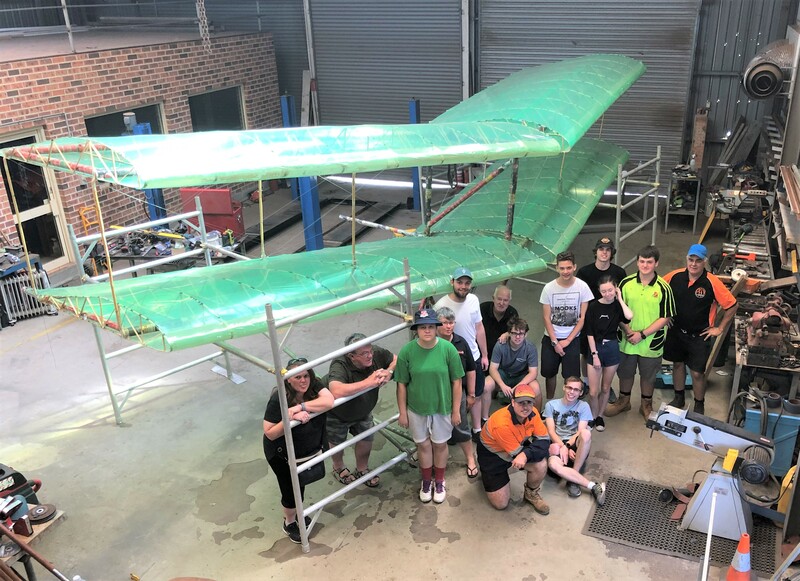 Year 12 Engineering Studies students from Parkes High School and Parkes Christian School have been working tirelessly building a flying craft for each school making them the only entries from outside Victoria. There are some exciting new developments this year with Moomba Birdman Rally allocating schools their own category to compete in, giving students opportunities to be more involved in the competition. Parkes High School will be taking part for the first time this year, while it will be the Parkes Christian School’s fourth time. They won the Flying Class section in 2017 with a distance of 11 metres making it the longest flight of the day. “The students are excited to try their hand at gaining the title again,” said Parkes Christian School Design and Technology teacher Jason Wynstra. Jason said a major component of the Design and Technology syllabus was problem solving, and the competition was a great opportunity to explore that. The Birdman Rally is a competition where members of the public build home-made gliders, hang gliders and human-powered aircraft to leap from a four-metre wharf, and compete for distance and entertainment value.